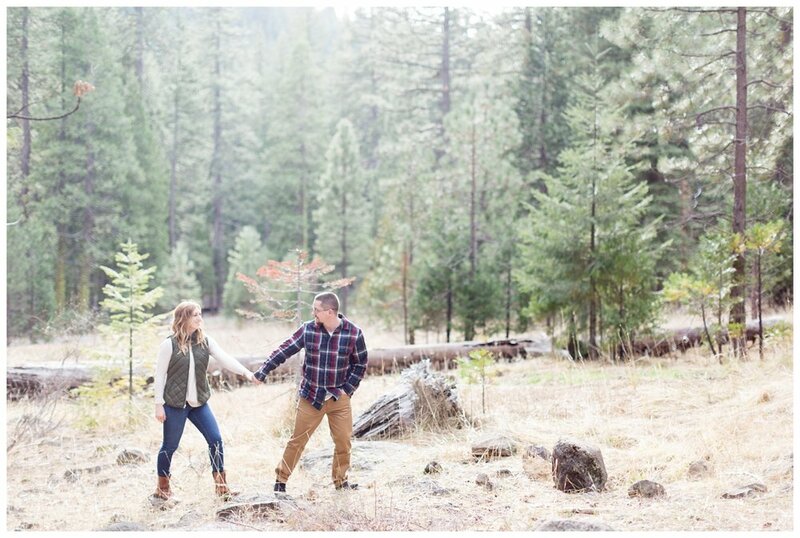 We met Nick&Moriah at one of our favorite engagement photo locations in Northern California, Butte Meadows. There hadn’t been much snow in the last few weeks but the whole mountain area was just breathtaking. 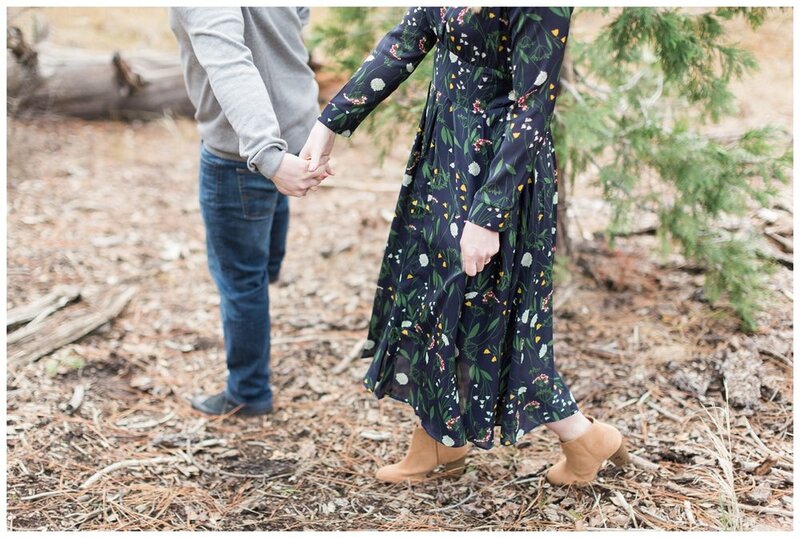 The ground in most areas was wet from the rainfall but as we trecked through a few areas together, we found the most amazing locations for these two. 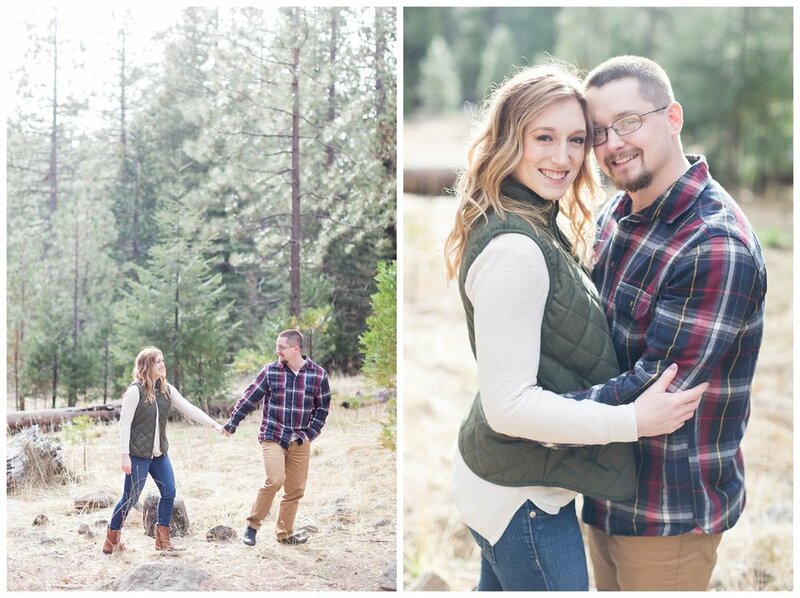 Nick&Moriah currently live in Lodi and made the drive to meet us up in Butte Meadows which was totally worth it. We originally thought I was going to be much cooler up there but after the sun came out, it was actually fairly warm until closer to sunset. They were up for anything the whole time which we really appreciated! One thing we share in common with these two is CrossFit and our love for a good breakfast. We first met Moriah a few years ago when she still lived in Chico and we attended the same gym. These two enjoy making breakfast together on their days off which is exactly what you’ll find us doing on our Saturdays off too! 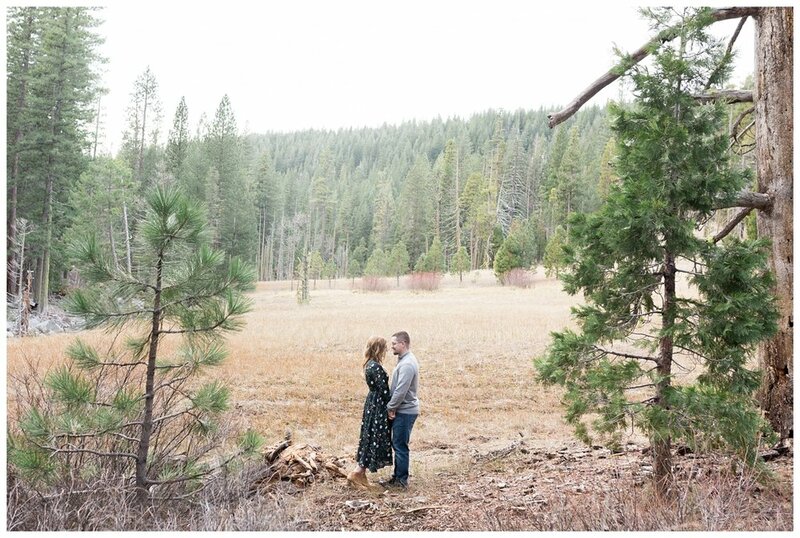 We are so excited to be celebrating with these two later this year for their Lodi wedding. They are both so easy going and we know it’s going to be a great day! 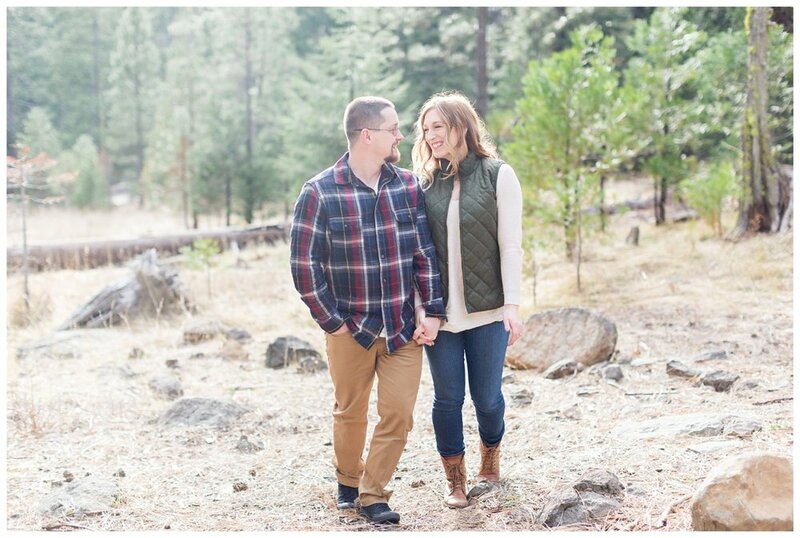 Enjoy some of our favorites from their Butte Meadows engagement session.